This library and learning resource center offers a modern, innovative, and exciting place for students. Having a holistic approach was essential when designing for their multiple classrooms, group-study rooms, Cyber Lab, Writing and Language Development Center, Faculty Resource Center, an all mobile classroom with a green screen, ITV studio, and many academic departments. A variety of Allsteel products exceeded this institution’s ergonomic, functionality and aesthetic needs. 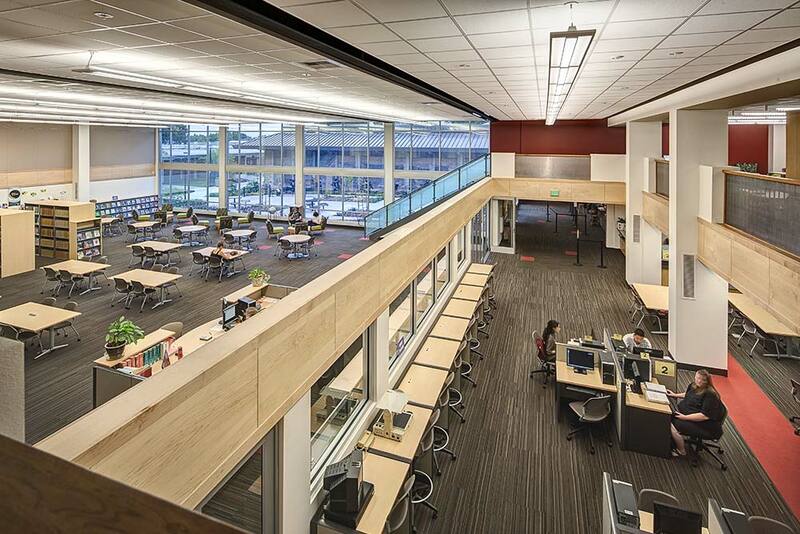 From systems to seating and everything in between, this facility truly was transformed into a contemporary environment supporting student success.